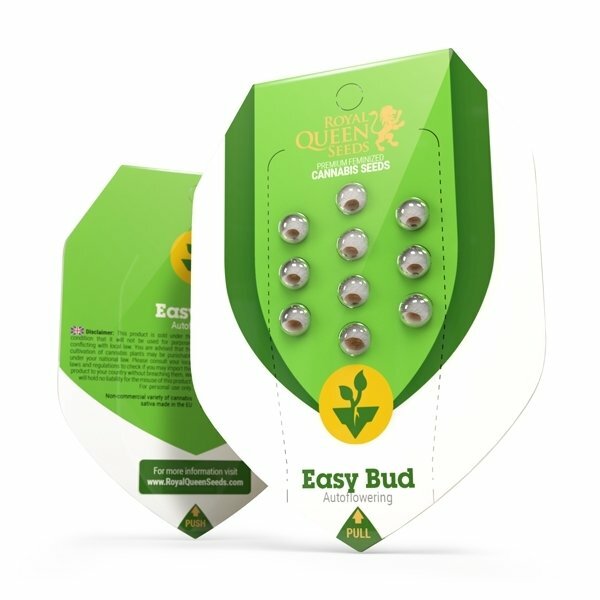 Easy Bud by Royal Queen Seeds is a hybrid result of an autoflowering Ruderalis with a vigorously growing Indica species. This feminized cannabis is a combo of Sativa 15%, Indica 55% and Ruderalis 30% genes. Easy Bud is a close cousin of the autoflowering White Dwarf. Due to its strong genetics, this strain can be cultivated almost everywhere and in no time regardless the environment conditions. Easy Bud will take only 9 weeks to grow into a completely mature plant - compared with almost twice as much for some regular strains of cannabis. 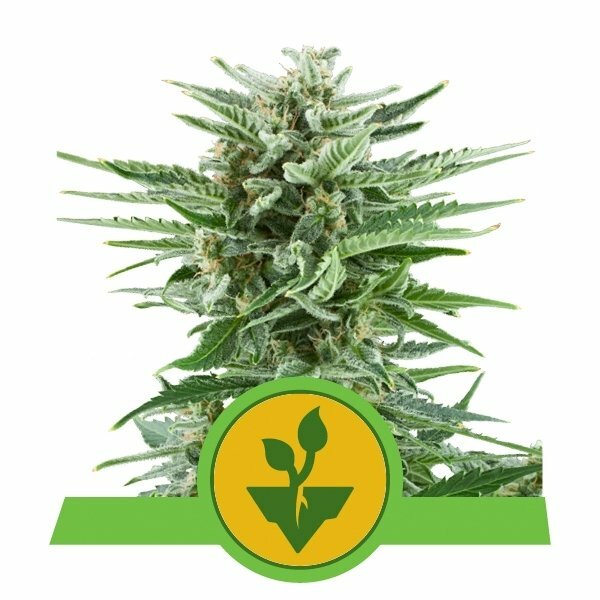 Easy Bud by Royal Queen Seeds is a small cannabis species that reaches from 50 to 60 cm height, producing a lot of dense nugs with a sweet and strong skunk flavor. If treated in the proper way, she will reward you with 45 g per plant and more than that can be achieved. This is a perfect breed for farmers who just want an easy and rapid cannabis variety. Easy Bud by Royal Queen Seeds is the choice if you are looking for a nice chilled body-high with intense aroma and relaxing high. Alle samen sind innerhalb von zwei tagen gekeimt und waren nach neun wochen erntereif. süßer, fruchtiger geschmack und entspannende wirkung. Am besten schmeckts und wirkts nach längerer fermentation. Buon raccolto e ottimo prodotto. Come sempre GRANDE Zamnesia! Super einfach zu growen und üppige Erträge! Ich bin begeistert.